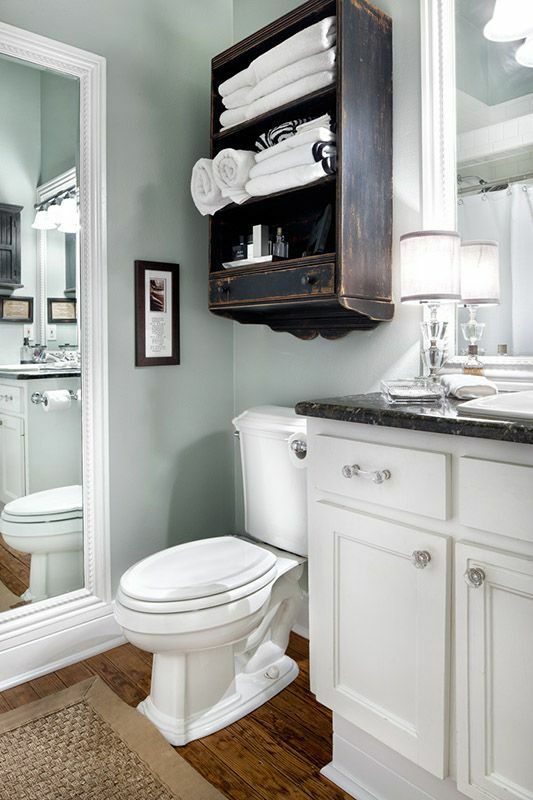 That space in the bathroom just above the toilet is ideal for placing a small storage cabinet or a set of open shelves. 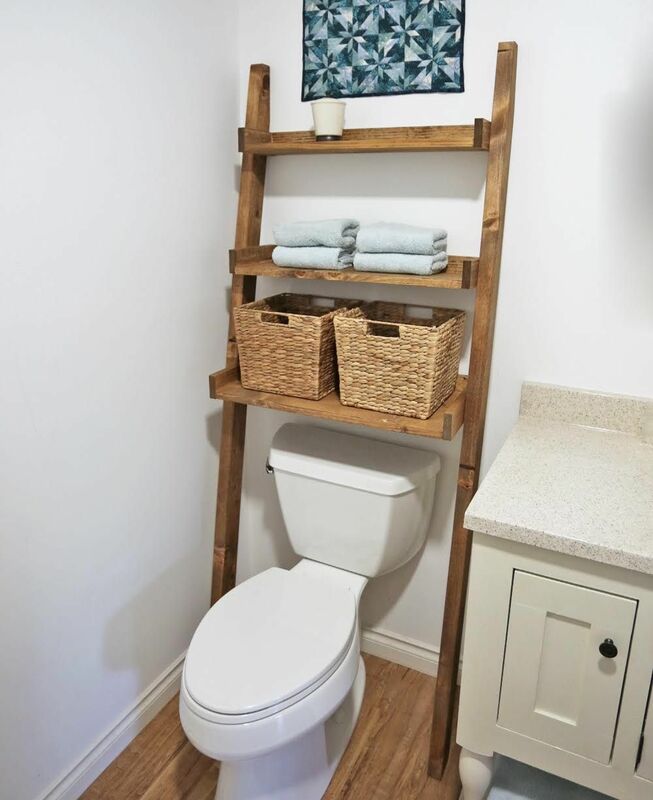 Over the toilet storage is practical, space-efficient and super customizable. 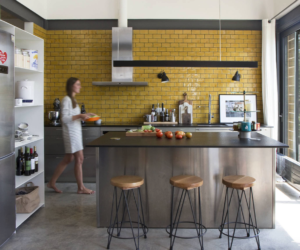 Just look at all these great design ideas that we gathered for you today. 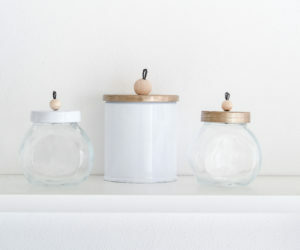 At least one of them would be perfect for your bathroom so have a look and start planning your next DIY project. We’re super excited to show you everything so let’s get started. 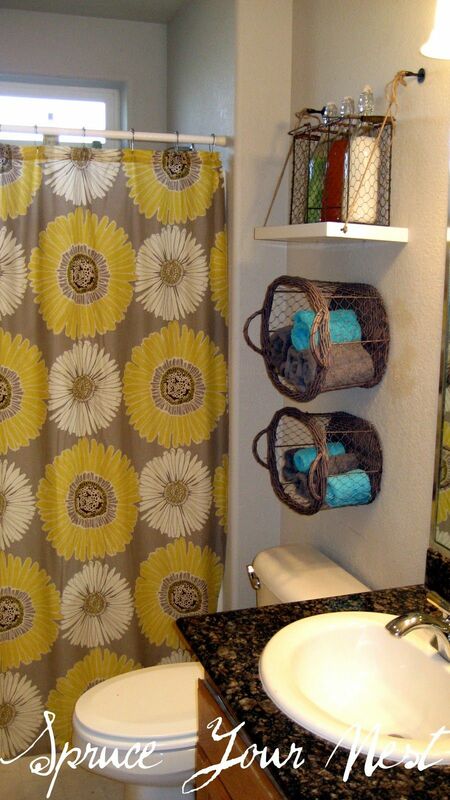 If all you want is to make the space above the toilet look less empty, you don’t have to go overboard with the design. 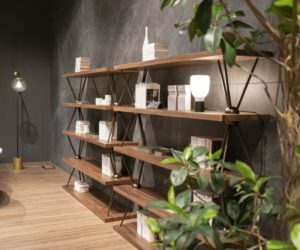 One or two floating shelves would be enough. 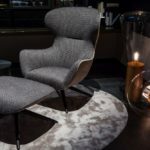 Make them stand out a bit by giving them a solid look but keep the design simple and friendly. 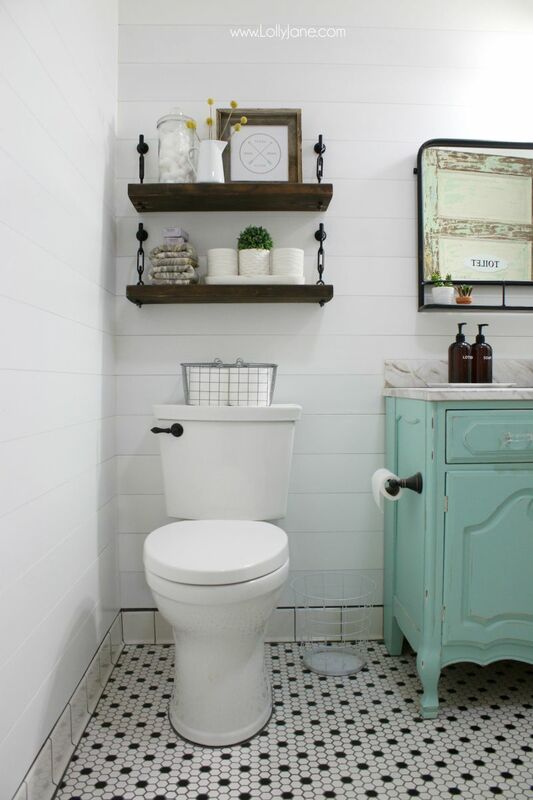 A cute idea coming from ana-white suggests framing the toilet with a ladder shelving system. 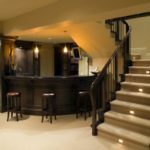 It’s great if you have the space for such a feature and if you think the ladder would go well with your bathroom’s design style. 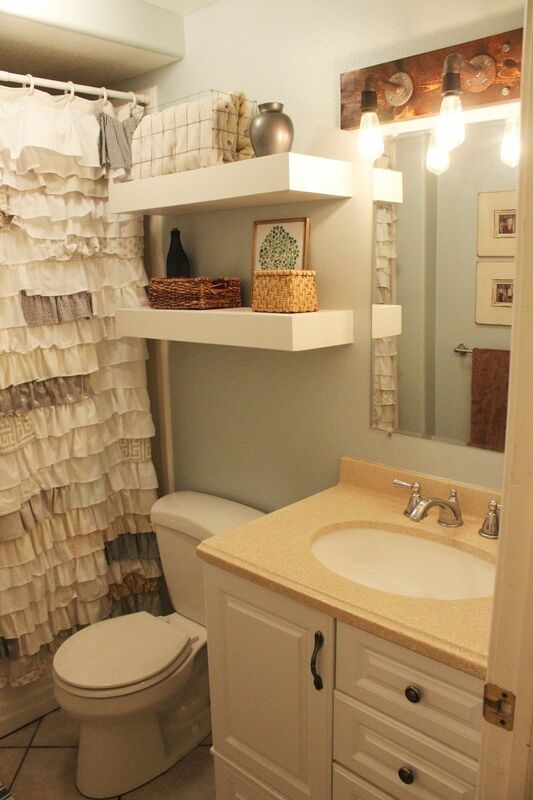 Above the toilet shelves are perfect for small bathrooms. 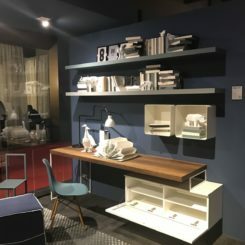 They offer storage and style without taking up valuable floor space and you can use them to display all sorts of nice decorations just to add a bit of color to the room. Check out thesweetestdigs for more inspiration. 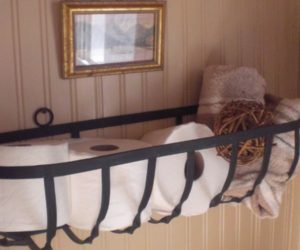 There’s more than one way of hang a shelf above the toilet. 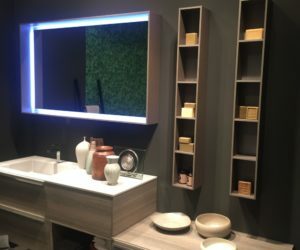 In fact, open shelves are extremely versatile and there are surprisingly many styles, mounting mechanisms and designs to consider so take your time and do your homework and don’t underestimate your bathroom shelves. We find the ones featured on lollyjane to be particularly good-looking. 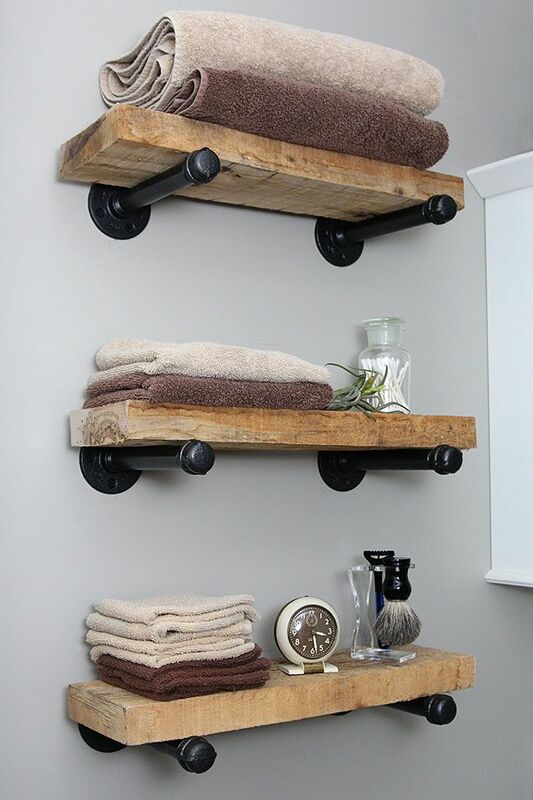 A single shelf is enough to change your bathroom forever. That’s not necessarily because of its storage capacity but because it left you fill a void, an emptiness which ultimately prevents the space from reaching its potential. 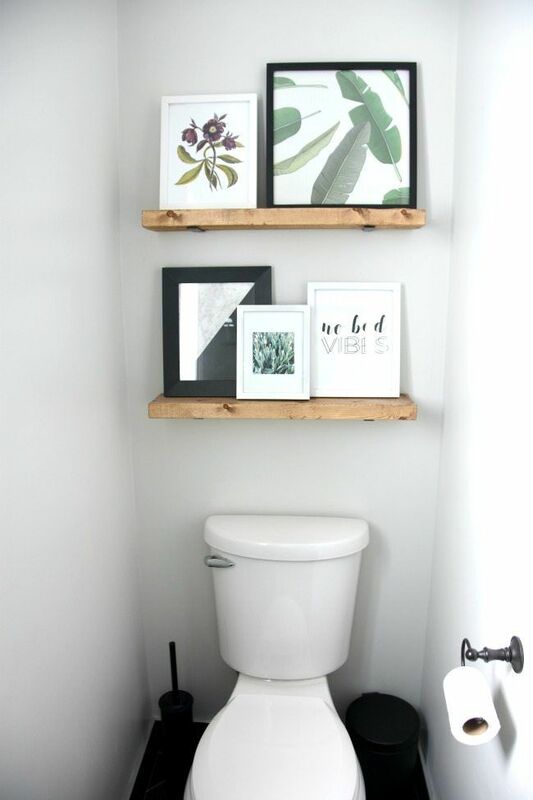 We’re talking about a simple over the toilet shelf like the one featured on myfabulesslife which lets you add color and cheer to the room in a very simple and affordable manner. 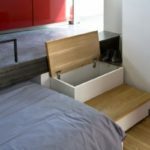 If you’re more focused on how you can use the space above the toilet for storage, then perhaps you’d prefer an open cabinet with two or three shelves and perhaps even a drawer too. 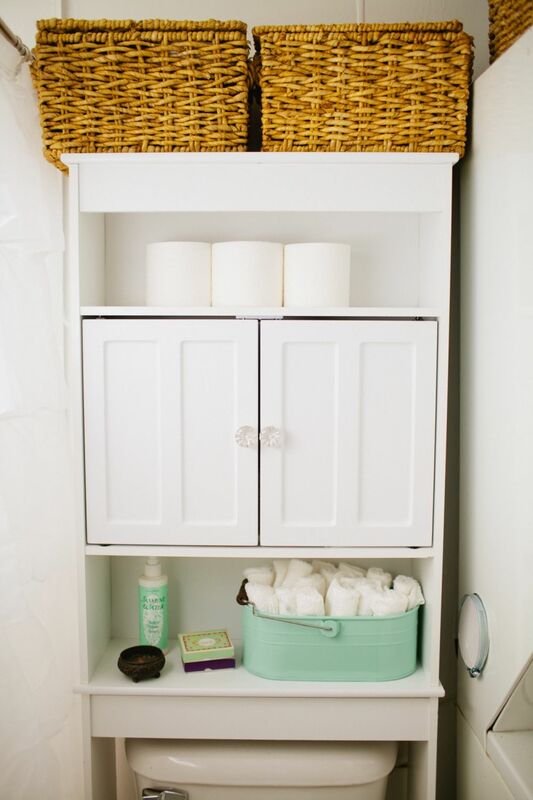 It can become your new towel storage cabinet and you can also use it to hold toiletries and other such things. 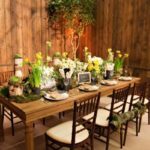 Consider a rustic or farmhouse-style design similar to what we found on houseofturquoise. 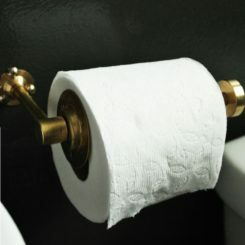 Take things one step further and reinvent your entire toilet space. 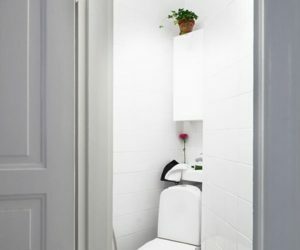 You could build a custom storage unit which fits around the toilet tank and gives you extra storage in the form of open shelves or closed modules for things like extra towels, toilet paper rolls and other useful items. Check out apartmenttherapy for more inspiration. 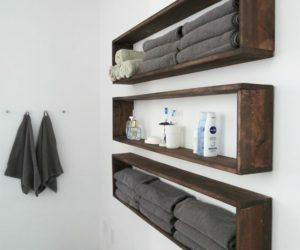 Add a bit of uniqueness to your bathroom by turning storage baskets into shelves. They’re perfecto for holding extra hand towels close to the sink yet out of the way. 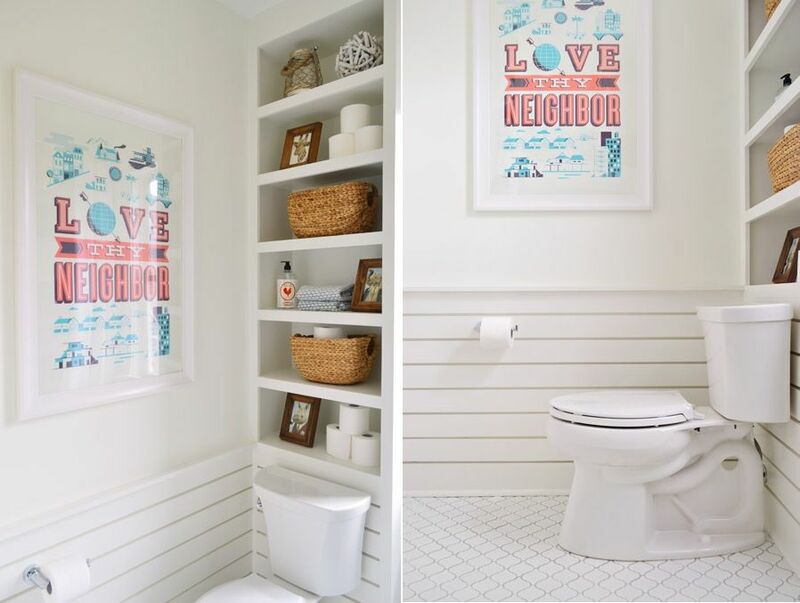 You can hang the shelves above the toilet and fill that empty space with something that’s not just useful but also original and very creative. 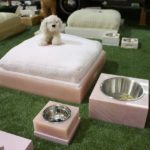 We found this cool idea on spruceyournest. 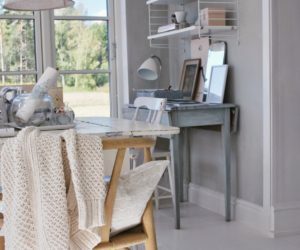 You should always look for ways to customize your interior design based on what makes each space unique and to try to take advantage of every little detail. 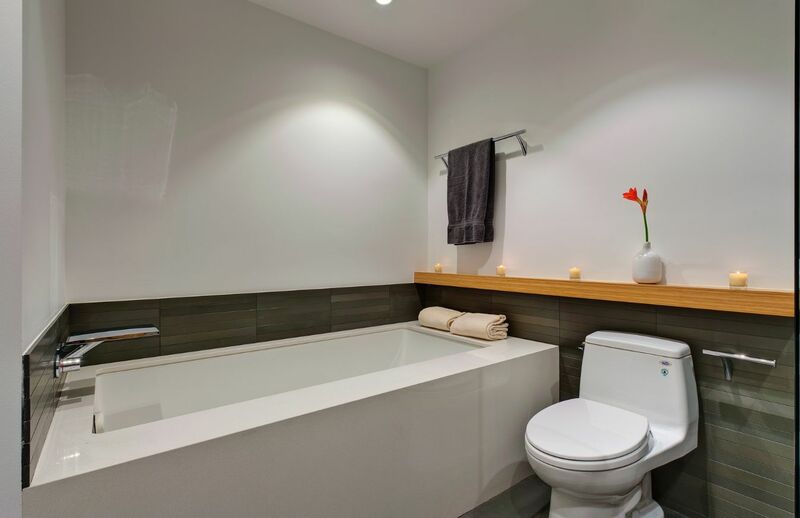 For example, in this bathroom designed by Michael Teuber it was possible to add a bamboo shelf above the tub and toilet and to frame the tile wainscot in a really cool way. 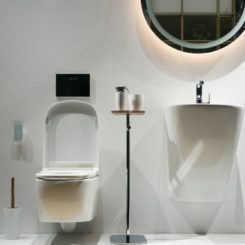 Another example of things that line up perfectly can be seen in this traditional bathroom designed by studio NLT. 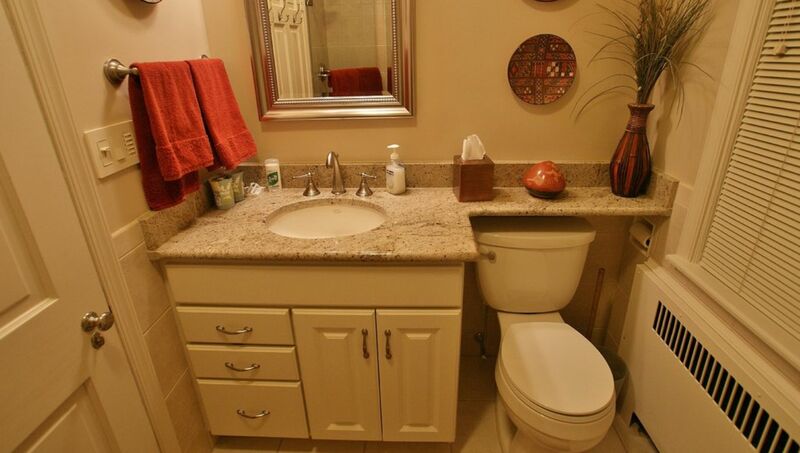 In here, the vanity counter extends to form a shelf above the toilet tank. 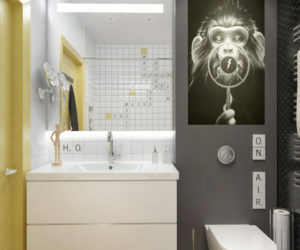 It’s simple, practical and original and it’s an idea that suits most bathrooms considering how common this layout is. 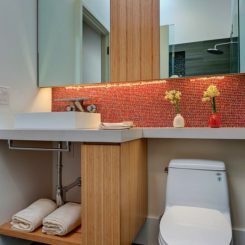 Built-in shelves fill the entire space between the toilet tank and the ceiling and maximize this bathroom’s storage capacity in a way that doesn’t make it look cluttered or tiny. 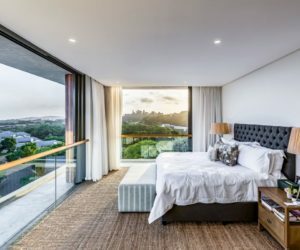 Add to that the white walls, floor tiles and matching fixtures and you get a super breezy and welcoming decor. 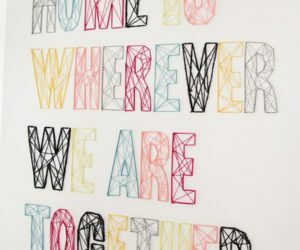 You can find more details on younghouselove. 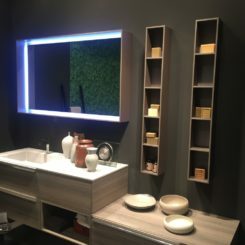 How about making something for your bathroom yourself? It’s easier than you think. 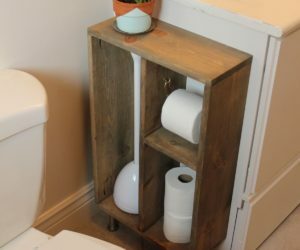 You could make a custom shelf or shelving unit for the space above the toilet and all you’d need would be a few pieces of wood and some basic tools. 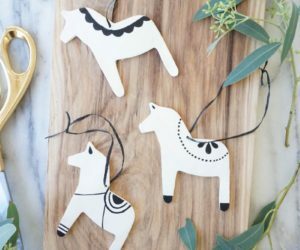 Display something cute and friendly on the shelves, something that would make the bathroom feel more inviting and comfortable. Check out mccarterfamilyblog for inspiration. 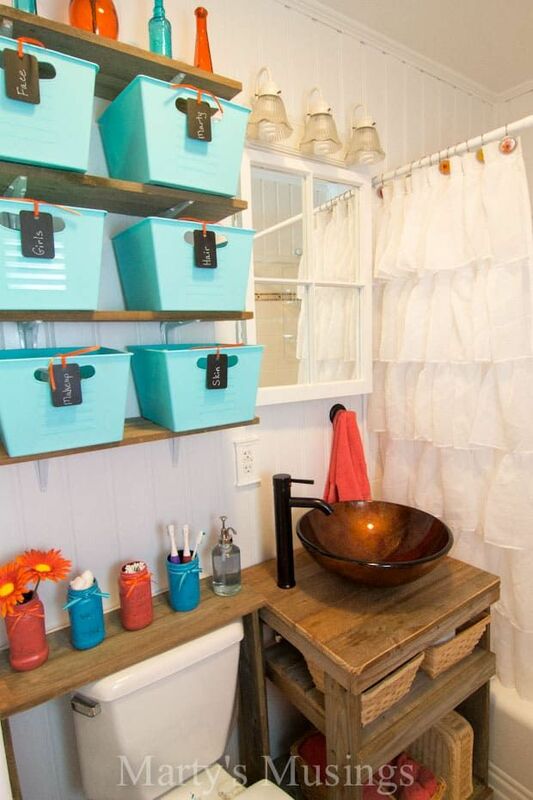 Here’s the same idea we mentioned earlier: a vanity which extends above the toilet tank to form a shelf. In this case there are also more shelves above this one and they hold labeled storage boxes. 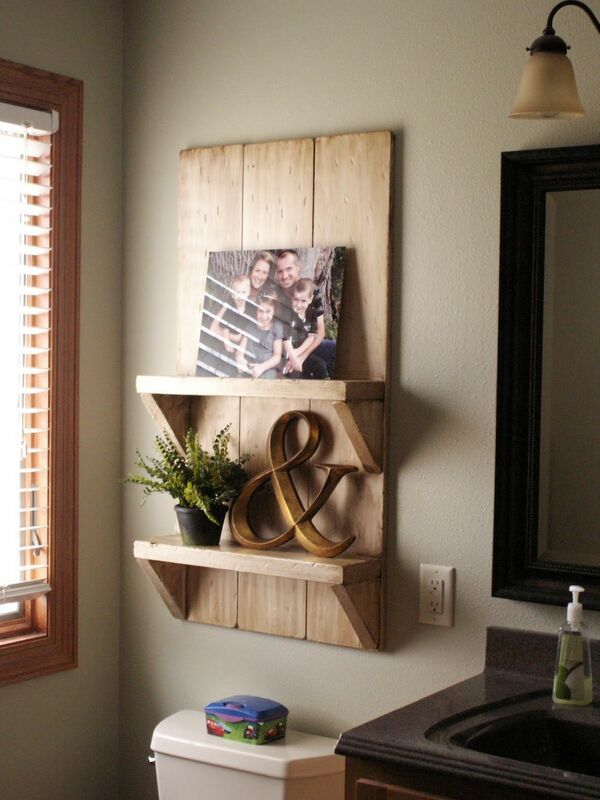 It’s a really great way to take full advantage of a small bathroom. 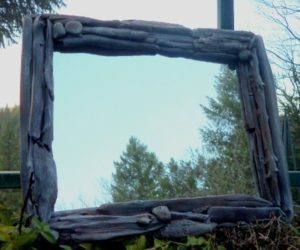 The design was featured on martysmusings so head over there if you need more details or if you’re looking for more inspiring ideas that can make your home more beautiful. 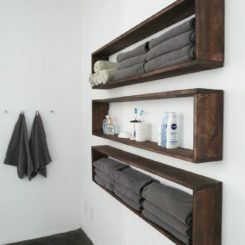 If you want to make some shelves yourself, one of the easiest methods is to use metal pipes and reclaimed wood. 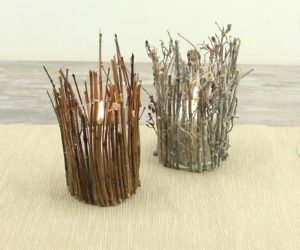 It’s so simple anyone can do it and that makes this the perfect DIY project for beginners. So how about it? 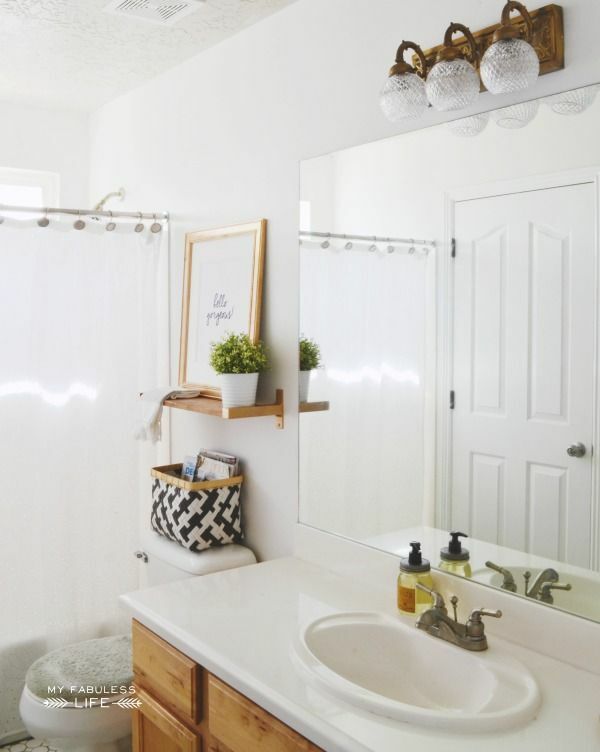 Ready to give your bathroom a makeover? 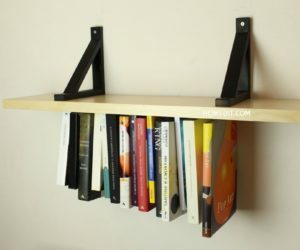 This sort of shelves would also look good in spaces like the kitchen, hallway or even the living room. 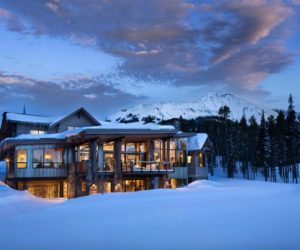 Check out all the details on houseofhawthornes. Last but not least, a very cool project coming from hello-hayley. 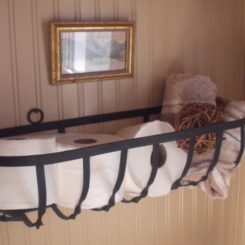 It shown how you can take advantage of the empty space above your toilet by making a rustic-industrial shelf that lets you organize items in baskets and boxes or display items on the surface at the top. 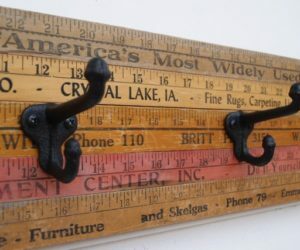 There are also hooks so you can hang hand towels or other things including decorations. 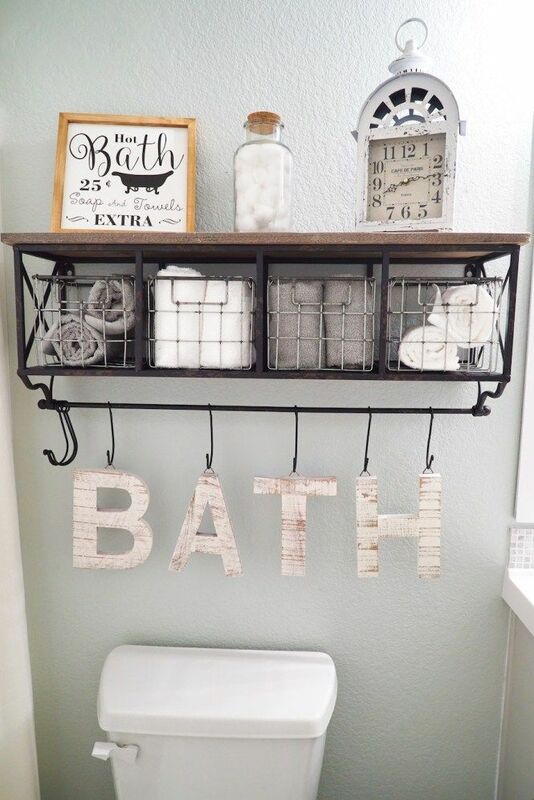 These ornamental letters seem pretty nice but you can definitely come up with other original ideas that suit your bathroom even better.